A case which was bound to discuss the money laundering claims surrounding the Panama Papers scandal stuttered on Thursday as it came in front of a judge who is bound to retire in just a few days'. 10.46am: The case has been adjourned to December 5. The case will now be sent to the Chief Justice who will assign it to another judge. The big question is: which judge will be assigned such a hot potato? 10.44am: Through his lawyer, Simon Busuttil tells the judge he wished to convey his appreciation for his "correctness" in this matter. 10.32am: Judge Mizzi says the case will be adjourned as he fires a parting shot: "I'm not here to take sides. I never took sides, I couldn't be bothered about political parties. I have always done my duty without fear or favour. It hurt and angered me when shadows were cast upon me. But that's enough." 10.30am: As lawyers grapple over whether the case is to proceed as planned, Judge Antonio Mizzi says: "My time is over now. I have served on the bench for 31 years. There should be no piecemeal amendments and no forum shopping." He says that during his career he delivered judgments against both sides of the political spectrum. 10.27am: Judge Mizzi says he would not be the one to stop Dr Busuttil from taking his case before foreign courts. 10.24am: "So we are all wasting time here. The whole process is vitiated from a procedural point of view," Keith Schembri's lawyer Dr Gatt states. Why so? Because it should not have been instituted with a sworn application. It is not one of three methods indicated in the law. 10.23am: The scene inside the court room is tense. Dr Azzopardi says that his client should not suffer on account of the delays in kicking off investigations. Dr Gatt on behalf of Keith Schembri requests Simon Busuttil to declare formally whether he is requesting suspension of these proceedings. Former PN leader Simon Busuttil. 10.20am: Prof. Ian Refalo says his client is suffering a prejudice to right to fair trial within a reasonable time. Dr Pawlu Lia agrees to same argument, saying the law lays down that such proceedings are to be heard "with urgency". 10.14am: Judge declares that according to procedural law, the proceedings have to stop until the matter goes to foreign courts. The judge confirms Dr Azzopardi is to seek remedy before the European Court of Justice and the European Court of Human Rights in Strasbourg. 10.11am: The judge addresses lawyer and MP Jason Azzopardi asking him to confirm that Simon Busuttil intends taking his case to the EU courts. The other lawyers pipe up. Dr Gatt says that the judge is soon to retire. If Simon Busuttil wanted to go to foreign fora he ought to have done so earlier. 10.05am: Judge Antonio Mizzi has taken up his seat. Defence lawyer Pawlu Lia stands up to speak but is immediately silenced by the judge. Only two of the appellants are present in court - Adrian Hillman and Brian Tonna. The appellants’ lawyers are all lining up: Edward Gatt, Aron Mifsud Bonnici, Stephen Tonna Lowell, Pawlu Lia, Ian Refalo and Mark Vassallo. 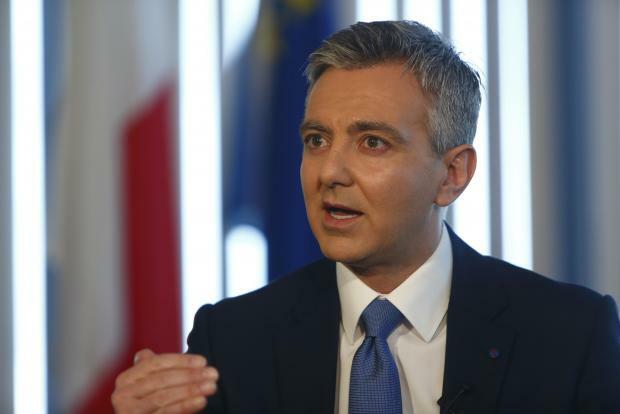 The case revolves around a request by Simon Busuttil to have an inquiry into Panama Papers revelations. A court found that the request had merit, and ordered an inquiry into the matter. Magistrate Ian Farrugia, presiding over the case, had decreed that the prerequisites for an inquiry had been met. This effectively meant that a magisterial inquiry would establish whether money laundering laws had been breached by government officials when opening offshore companies in Panama. However, the seven individuals set to be targeted by the inquiry, had filed separate appeals calling for the revocation of Magistrate Farrugia’s decree. The seven - Prime Minister Joseph Muscat, his chief of staff Keith Schembri, minister Konrad Mizzi and businessmen Brian Tonna, Karl Cini, Malcolm Scerri and Adrian Hillman - appealed that ruling. 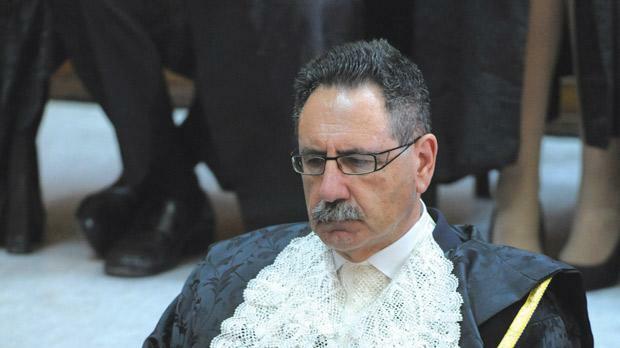 The constitutional court found that while Dr Busuttil was justified in highlighting concerns about a right to a fair trial, after Judge Mizzi was appointed to the case, he had no right to ask for the judge to be recused, as he could not be considered a victim in the case. Judge Mizzi can hear a case involving the Panama Papers, an appeals court decided on October 29 as it upheld an appeal filed by the Attorney General. The judge is due to retire from the bench on November 16.